You probably haven’t thought much about it, but carpeting can be one of the biggest investments you can make for your property. Whether it’s for your home or for your office, choosing a carpet is crucial to the look and maintenance of the space that needs it. The wrong choice, from the size and colour to the type and style, could end up ruining a perfectly good room. But perhaps the most important factor to choosing your carpet is to determine its quality. A good quality, fine carpet will have a density rating of 2,000 or more, a tuft twist of five or higher, and fibres that just feel luxurious to the touch. Here are three reasons to install a luxury carpet today. 1.Fine quality carpets provide greater warmth and comfort to any space. High quality carpets not only look better in most rooms, but they also deliver what is required of the space. With great quality carpets, you get the softest type of fibres, as well as the strongest. So not only will you get better warmth and comfort but you can also expect fine quality carpets to outperform low quality carpets. 2.Low quality carpets may be cheaper but they may not last long. You can distinguish a low quality carpet from the backing, which is likely to be seen more easily since it’s low density. 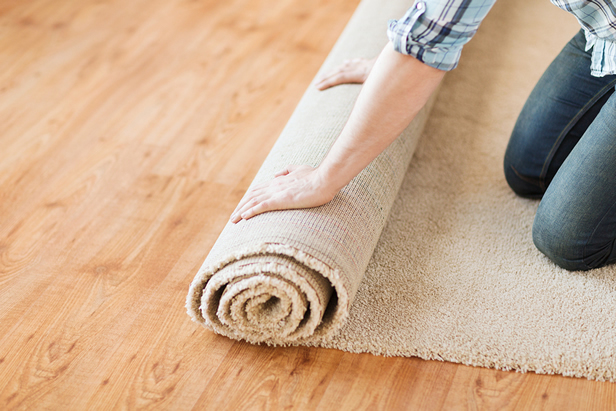 Good quality carpets have thicker and heavier fibres. You may save money with your first purchase but if you use the carpet for high-traffic areas, it may get damaged and wear out easily. So then you would have to buy a new one, every single time. In the long run, you will have spent more money on buying cheaper carpets. 3.High quality carpets may be safer. Some low quality carpets may need more vacuuming than most high-quality carpets because of shedding. This not only means more effort on your part to maintain the space, but it could also affect family members who may have allergies. Apart from this, some low quality carpets will not be made in the same level of workmanship as fine, luxurious carpets. This could lead to early running or snagging, which might lead to accidents if you have pets or kids in the house. All in all, high quality carpets make for an excellent investment. They will enhance the look and feel of any space. They will be more durable and long lasting than cheaper carpets. And they might be far safer to install for certain properties. Use one for your home or office today. Carpets R Us can help you choose the finest luxury carpet in Mansfield.